[From TheMusicUniverse.com] Tritt, Jackson, Black, and Brooks: “The Class of 89” as defined by the former himself. 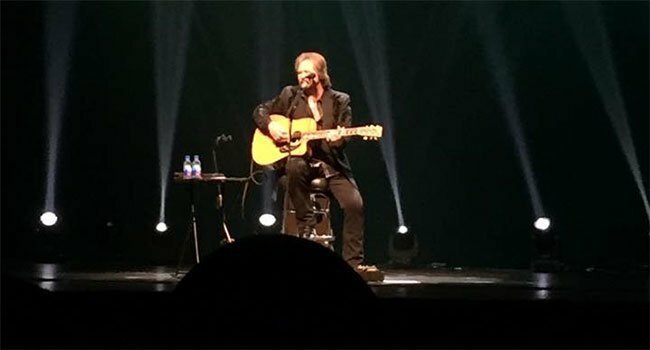 Travis Tritt presented his intimate “A Man and His Guitar” acoustic show at the St. George Theatre last night (Sun., Oct. 8th). Throughout the evening. Tritt wove stories about everything from the Grand Ole Opry to Webster’s dictionary in between his hits. Opening with “It’s All About the Money,” Tritt strummed and sand for 15 minutes straight (and four songs) before stopping to welcome his audience. Not many artists have the vocal strength to pull off a solo performance. However, Travis Triss is at his best when the instrumentation is stripped away. On his records, identifiable steel guitar licks mask a surprisingly intricate voice. It is at once smooth, smokey, and with a specific twang that hauntingly echoes the king himself: George Jones. Songs like “Anymore” and “Modern Day Bonnie and Clyde” have new life to them when the audience has no other choice but to listen to the words, and the nuanced emotions with which Tritt sings them. When he spoke, the country icon was slow and thoughtful, only using scripted lines when telling tried-and-true jokes from his many performances of this same show. Early on, Tritt addressed the Las Vegas shooting last Sunday night at a country music festival. He mused about his upbringing, the kindnesses Johnny Cash and Waylon Jennings showed him in the early years of his career, and the passing of Tom Petty. 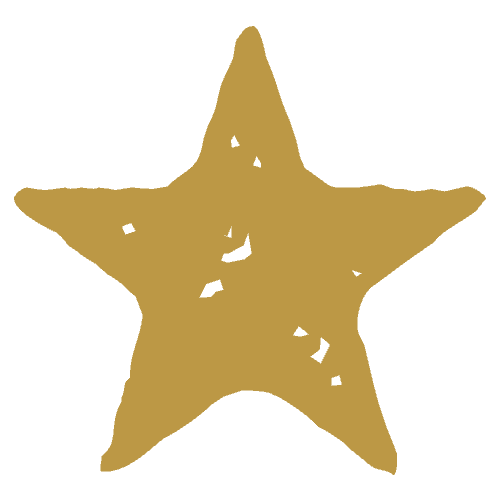 The stripped down nature of the show also gave the two-time Grammy winner the room to cover those aforementioned heroes. Tritt paid tribute to Petty with a rendition of “Southern Accent.” A Slow, ballad version of “I Walk the Line” appeared later on, as did a medley of Jennings’ biggest hits. It was Jennings, Tritt said, who taught him how to be an ‘outlaw’ country star among pretty boys in hats. True, as the other three alumni of the ’89 class built their images in ten gallons and, as Tritt joked at the concert, “pressed blue jeans.” He said his gritty personality and his aversion to the classic cowboy aesthetic made him, “Stick out like a sore thumb.” By his own admission, Tritt’s gruffer exterior was a harder sell against the wholesome image of Brooks, the softer music of Black, and the down-home energy of Jackson. But Tritt’s genius is in his ability to pull off both raw, emotionally revelatory songs (“Where Corn Don’t Grow,” “Here’s a Quarter (Call Someone Who Cares)”) and fun tongue-in-cheek numbers (“Ten Feet Tall and Bullet Proof,” “Country Club”). Tritt’s Jones-esque whiney-twang combines with the ghost of Keith Whitley and the drawl of his outlaw heroes to create a uniquely identifiable vocal. When put up against the rest in his class, in this, the “Hat Acts” fall flat. Of those four tentpole stars of the 90’s, Garth Brooks, is the only other to present such an intimate, acoustic evening. Brooks spent four years at the Wynn resort, taking audiences through decades of musical inspiration before spending the last third of his show on his own hits. While Brooks’ acoustic skill is in his ability to mimic the sounds, cadences, and even performance styles of his heroes, Travis Tritt enjoys taking a song and making it his own. A highlight of his night at the St. George was his cover of “Help” by the Beatles. Travis Tritt closed his set by returning to his hits, including “It’s a Great Day to be Alive” and finishing with “T-R-O-U-B-L-E.” For two hours, the long-haired outlaw from Marietta, Georgia in the sequin-studded Manuel coat – playing just his guitar – had barely even stood up. It was the audience that ended up on their feet.